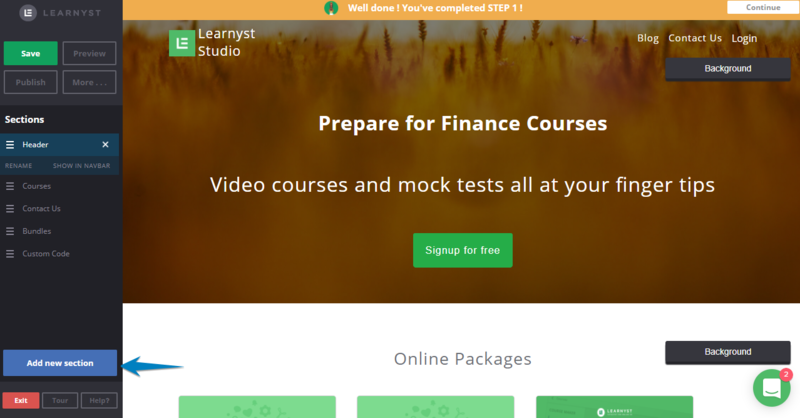 When you are customizing the landing page of your online institution, you will see the COURSE section right away, but to show the Bundle section you have to manually add that. 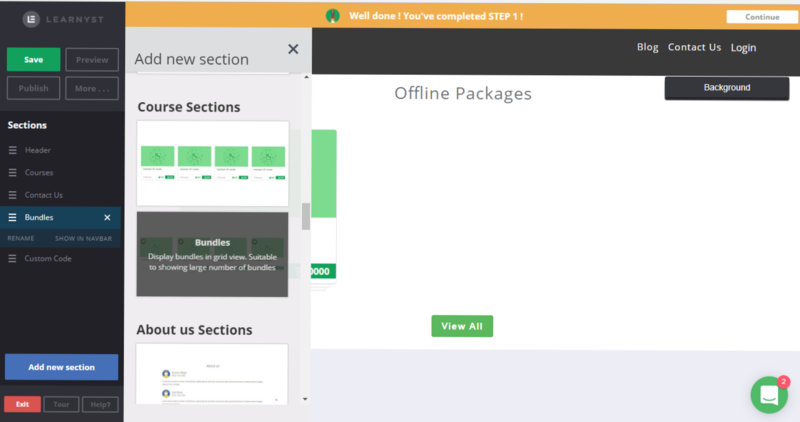 Today, in this article I will show you how you can add the Bundle section. 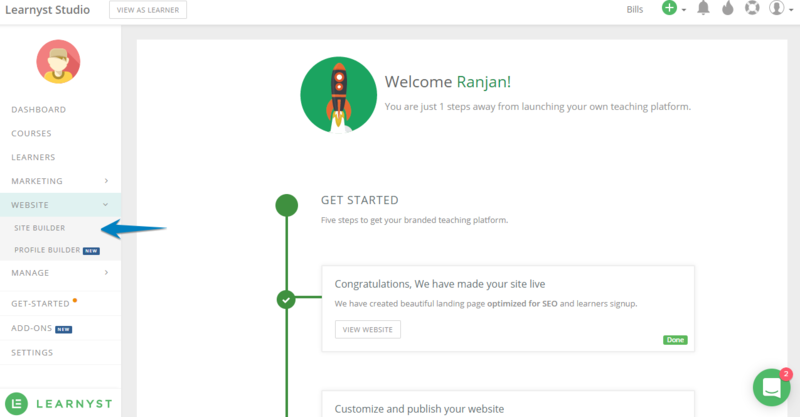 Go to your site builder, from your admin dashboard.